Links to online resources for the German film WER WENN NICHT WIR? Fictionalised portrait of the tumultuous relationship between two 1970s German left-wing political militants: Bernward Vesper (August Diehl) and Gudrun Ensslin (Lena Lauzemis). 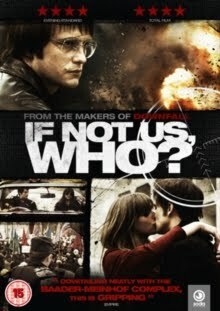 As Gudrun becomes more and more politically involved, the couple’s relationship comes under increasing strain and she eventually leaves Bernward and their baby son for the charismatic political rebel Andres Baader (Alexander Fehling); founder of the Red Army Faction terrorist group depicted in the 2008 film ‘The Baader-Meinhof Complex’.